We're looking for a dazzling winter-themed photograph of the park in our Second Annual Holiday Photo Contest. This year however, we've raised the stakes. We'll choose a grand prize winner and a runner-up. Both will receive prizes and we'll use both photos on our sites. 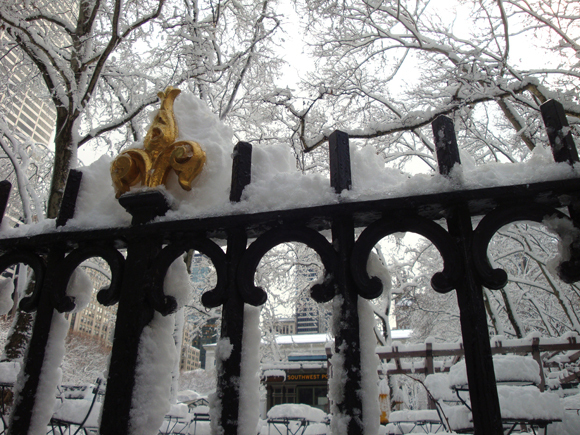 Join the group Bryant Park Holiday Photo Contest on Flickr, upload your photos, and add them to the group. Please limit individual submissions to no more than five photos per person. The last day to submit your photos is Sunday, November 27. Good luck! *Prize money will be issued as a company check after winner provides valid social security number. **T-Shirt sizes range from S-XL. Subject to availability. Eligibility: You must be a legal resident of the United States, and at least 18 years old. Copyright: By submitting a photo, each entrant warrants that the photo is original, was created solely by the entrant, does not violate any copyright laws, and does not plagiarize, libel, defame, disparage, slander or otherwise infringe on or violate the rights of any third parties. Usage Rights: By submitting a photo, each entrant grants Bryant Park Corporation the right to use his or her name, voice, photograph, likeness and information provided on entry form, without compensation, including in all publicity and marketing materials (including Bryant Park Corporation's web site) relating to the Bryant Park Holiday Photo Contest, except where prohibited by law. By entering the photo contest, each entrant grants to Bryant Park Corporation a non-exclusive license to copy, distribute, display, adapt, publish, use and make derivative works from the photo or portions of the photo in Bryant Park Corporation’s marketing, promotional, educational, commercial, and not-for-profit materials, in any format and media, whether now known or hereafter devised, for any and all purposes, including but not limited to publication and distribution of the photo or portions of the photo on Bryant Park Corporation’s website or in exhibitions. Bryant Park Corporation will endeavor to include the entrant's name each time his or her photo or a portion of his or her photo is used in this manner. 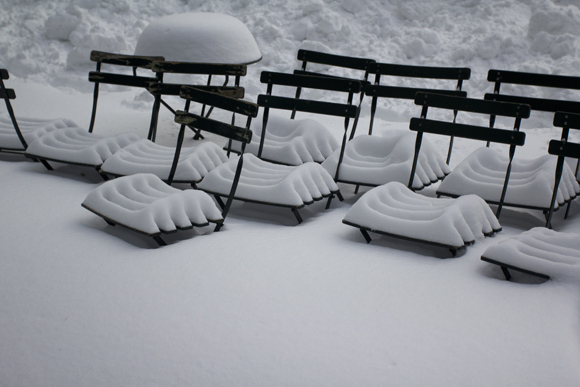 However, winner will not be entitled to any compensation from Bryant Park Corporation for any use of the winning photo.